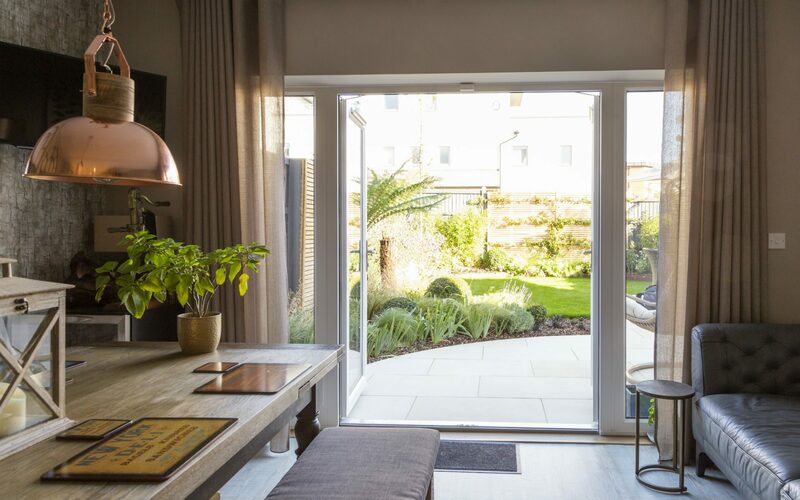 This urban garden was overlooked from all angles, a new build garden with little interest. 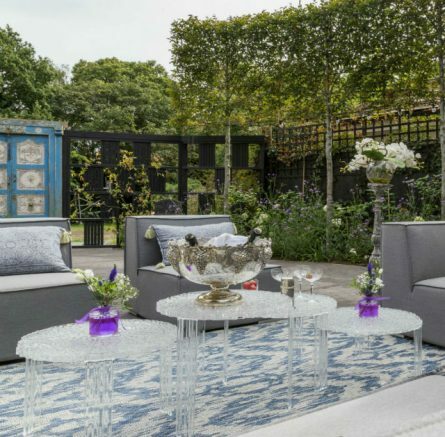 The client’s brief was to provide some subtle privacy, attractive planting, areas for entertaining and relaxing, and a play space for their new baby. 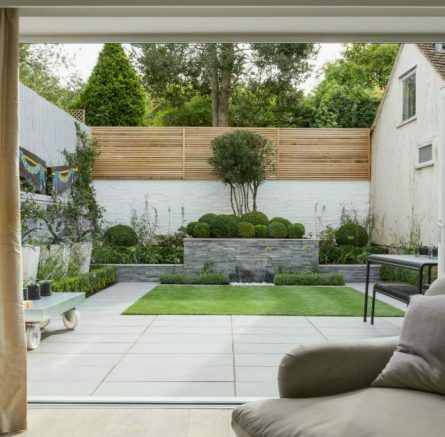 Cube designed a curved garden to enhance the space available for planting and entertaining whilst allowing a small lawn area for play. Slatted fence panels were used as alternating features to break up the feeling of enclosure. 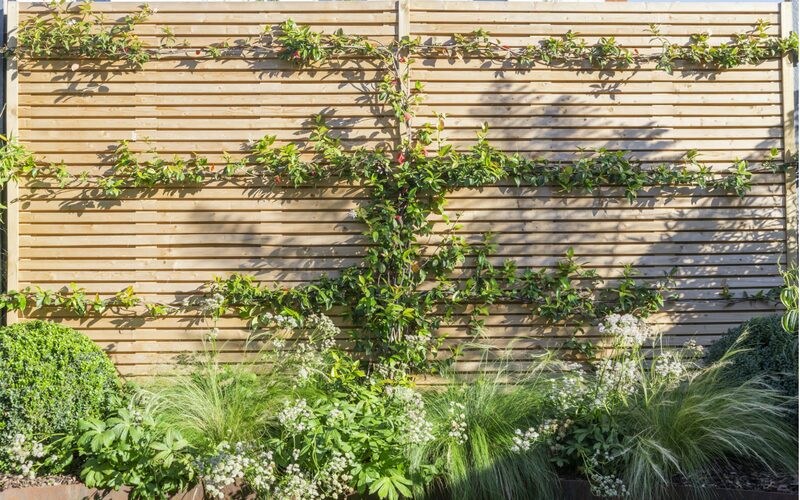 Trachelospermum jasminoide was trained onto the facing feature panel to soften the screen. Dicksonia Antartica Ferns were placed in the corners for subtle shade from the surrounding properties. 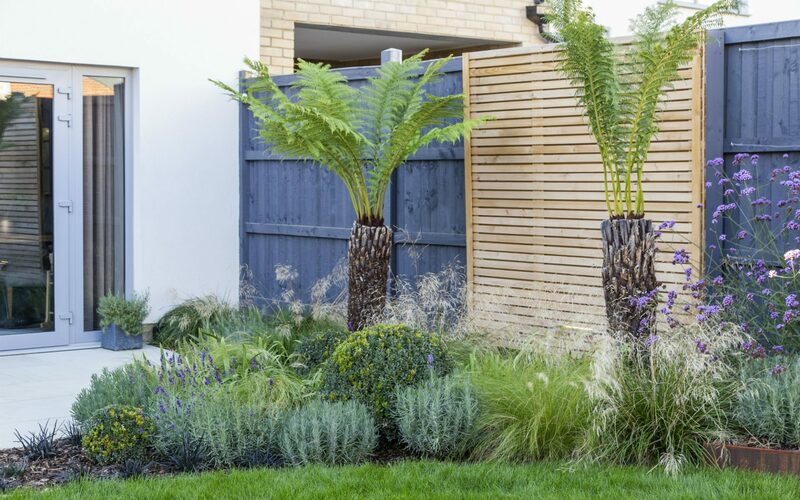 The Ferns were then underplanted with a mixture of grasses and flowering perennials. 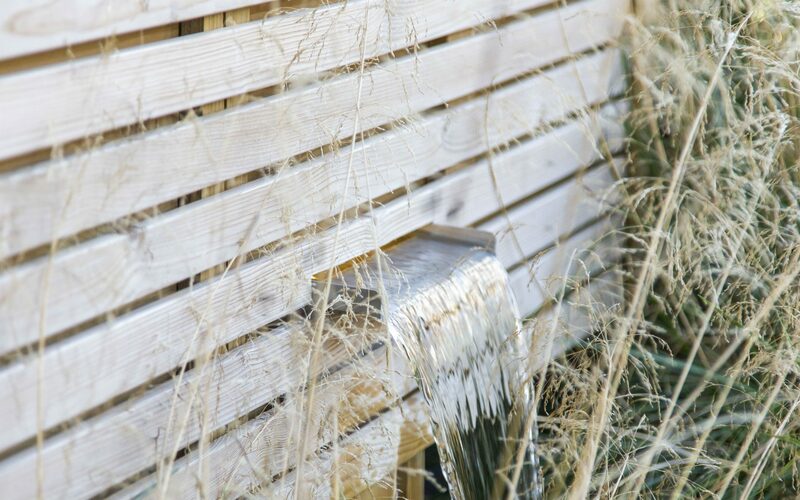 A bespoke water-feature was formed as part of the feature fencing, creating an ambient sound to wash away any distractions from the relaxing space. 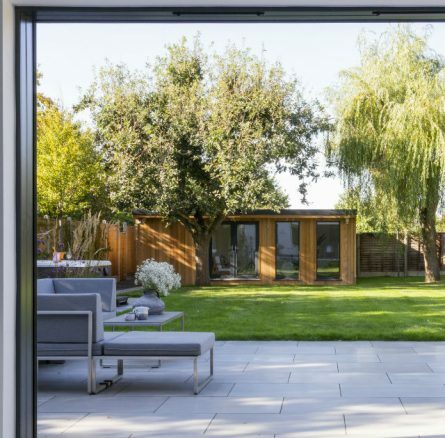 Natural sandstone paving was chosen for a clean contemporary look. 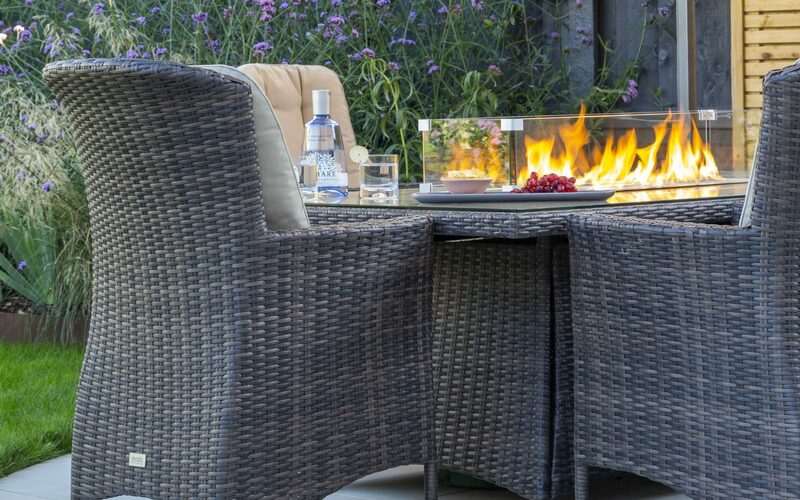 The curves delicately separated the patio into entertaining and relaxing areas. 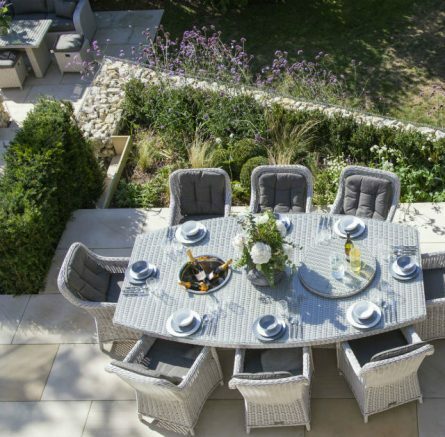 Soft lighting was evenly placed around the garden to enhance the focal points and extend the hours of entertaining. ‘I would like to take this opportunity to thank you for the superb job that you have done in laying the turf at the above address. We also appreciate the fact that due to the frosty conditions at the time you were unable to carry out the work on the due date but did telephone us to let us know that the work would be delayed for a few days. As you clearly stated during our initial conversation on the telephone, you were not the cheapest but we certainly are delighted that by paying that little extra, we have a lawn that even now looks like a bowling green. ‘Thank you for your excellent work on our property over the last few days. You have transformed our “jungle” into a show garden which seemed an impossible task three days ago. 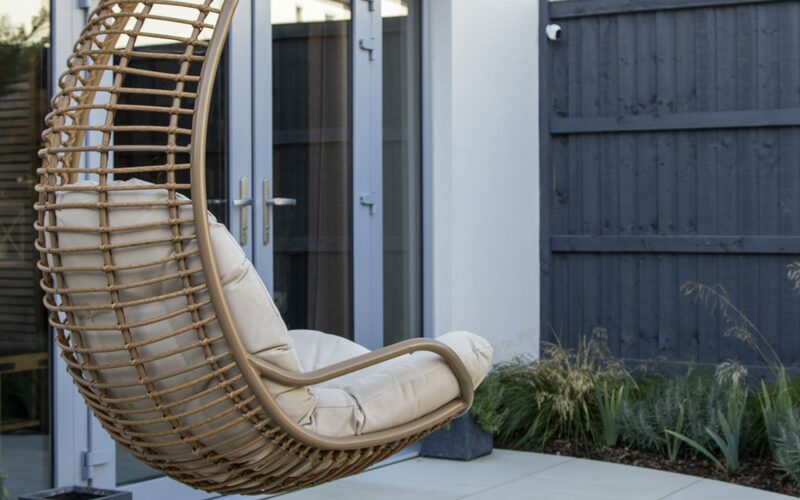 Not only do we believe that the result of your work is worth every penny but we are pleased that it is practical and low on ongoing maintenance.